An Escape Room Game For the Home! Solve all the puzzles as fast as you can! 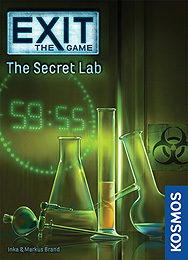 Can you manage to escape the lab? This game can be played only once, because you mark-up, fold, and tear the game materials.